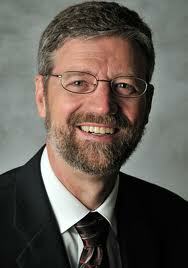 Ervin Stutzman is executive director of Mennonite Church USA. The Discernment Group working to care for victims of John Howard Yoder’s sexual abuse and to advocate against sexual abuse in the Mennonite Church has established a Care and Prevention Fund with Mennonite Church USA. The purpose of the fund is threefold: 1) to recompense, at least in some small measure, the material costs that persons victimized by Yoder or another credentialed leader of Mennonite Church USA undertook on their road to healing; 2) to provide tangible care for persons who have experienced sexual abuse; 3) to assist in prevention of sexual abuse. We invite individuals with particular concern for victims and prevention of sexual abuse to contribute to this fund. In addition, we are encouraging a number of Mennonite institutions specifically involved in promoting Yoder’s teaching and writing ministry to contribute to the fund. Further, we will receive an offering during the adult worship service on Wednesday, July 1 and the youth worship service on Friday, July 3, at Mennonite Church USA’s Kansas City Convention. That evening, there will be a Service of Lament and Hope at a nearby church facility, focused on the hurts experienced through sexual abuse in our denomination and the healing we seek from God. Contributions to the Care and Prevention Fund will be divided between victims of sexual abuse and several ministries, mentioned below, that provide care for victims or work to prevent abuse. and then disperse the proceeds within the next few months. Persons who have been sexually abused by a credentialed leader (licensed or ordained) of Mennonite Church USA and who have experienced significant financial cost as they sought healing, will be invited to submit their requests for reimbursement. Within the next few weeks, the Discernment Group will publish the names of the contact persons and an advisory group to be involved in the distribution, along with the guidelines for submission of requests. Requests from victims must be submitted by August 31, 2015, to be considered. Although we anticipate that the largest portion of the Care and Prevention Fund will be given to victims, we intend to distribute some of the funds to organizations who provide care to victims or work at abuse prevention. After seeing the total amount contributed to the Care and Prevention Fund and hearing how many victims have come forward to request financial assistance, the Discernment Group will determine what percentage of the total contributed funds will be given to victims of sexual abuse and what percentage will be given to the following ministries: Sister Care, a ministry of Mennonite Women USA that provides tangible healing and care for women who have experienced loss or sexual abuse, both in the U.S. and beyond, to the Women in Leadership Project of Mennonite Church USA, that seeks to undo the systems/patterns within the church that devalue or silence women (including abuse victims) and to Dove’s Nest, a church organization that works with ecumenical faith communities to keep children and youth safe from abuse. I am encouraged by the financial commitments that have already been made to this fund by individuals as well as churchwide agencies. I pray that these early ripples may swell into waves of care for those who have been sexually abused. Alongside that petition, I pray that our church may find more effective ways to prevent further abuse in our community of faith. Please join me in this commitment. #WeAreMenno: I want to commit my life to Christ! An important and needed step for the Mennonite Church to work actively toward the emotional healing and financial burden of victims of sexual abuse within our churches. I’m wondering though if it’s time to cease calling out JHY as the poster child for this deplorable behavior. He has received warranted bashing, no doubt, but considering there are several other known cases, I’d say either name all of them, or none. Don’t you think Yoder’s family has suffered enough pain and embarrassment to last a lifetime? Thanks, John. Ervin told me once that it is not about JHY, but every article I have since only mentions JHY. Agree, Carl. No response from MCUSA yet, but I hope Ervin at least takes note of our comments.